The Salem Witches were all smiles after the 19th annual Danvers Invitational Tournament on Memorial Day. The Witches fell to the North Andover Knight Hawks in the girls U14 final match. Photo by Mary Catherine Adams/Salem News. 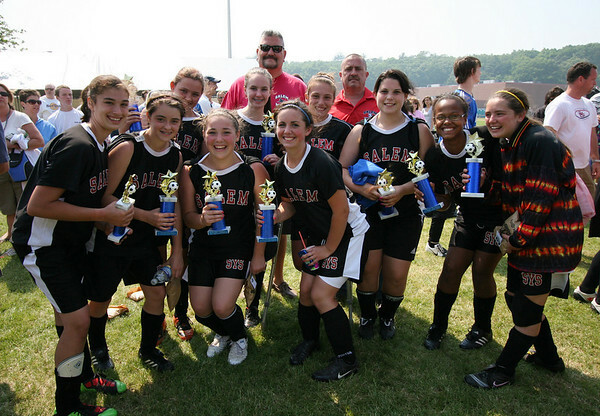 , The Salem Witches were all smiles after the 19th annual Danvers Invitational Tournament on Memorial Day. The Witches fell to the North Andover Knight Hawks in the girls U14 final match. Photo by Mary Catherine Adams/Salem News.